World Series of Fighting Josh Burkman (28-10) says if his opponent Tyler Stinson (27-9) claims to have “heavier hands”, then he will have to prove inside the cage. Burkman fights Stinson on the World Series of Fighting 09 fight card March 29 on NBC Sports. 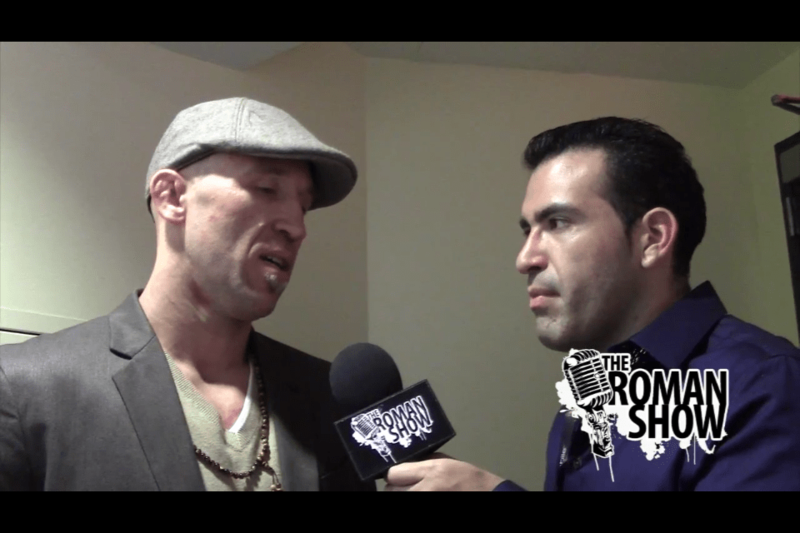 The Roman Show spoke to Burkman just a few weeks prior to his fight. “He says he hands heavier hands, but you have to come inside the cage and prove it,” he said. Hear Stinson say it by clicking HERE! Burkman is coming off a loss against the current welterweight champion Steve Carl. Stinson defeated his last opponent Valdir Araujo via technical knockout. He is also the owner of 19 knockout victories. The Utah fighter said he learned from his loss against Carl. He brings, he is long for his weight class. He controls the range. He will try to keep the fight on the feet. You wont see me looking for a take down. But Burkman said he has sharpened his skills on his feet and promises Stinson won’t have an easy fight. “My hands have gotten a lot better and Tyler will be a great person to test it out on,” he said. He also added that Stinson holds a reach advantage to his weight class. He also explains how he has changed his diet, practices yoga, and takes care of some of his injuries, Rousimar Palhares. Click below to hear the complete interview, right now.